"It was conveniently located, staff was helpful, breakfast was very good, walking distance to shopping, beach and restaurants." 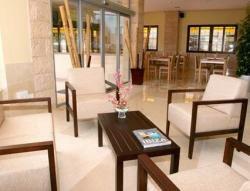 Hotel Orosol is a 1-star hotel, situated next to the beach and the sea promenade of San Antonio. 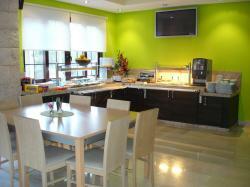 This family run hotel was renovated in 2007 and it has all the amenities to assure you a nice stay. 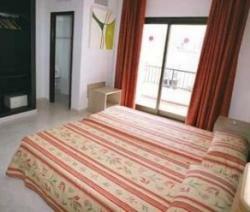 It offers a good location at affordable prices. Its 59 rooms have a modest and modern design. All of them feature full bathroom, TV, telephone and Wifi connection. You will have at your disposal services such as air conditioning and laundry service for an additional cost. In the cafeteria it is served breakfasts and snacks. 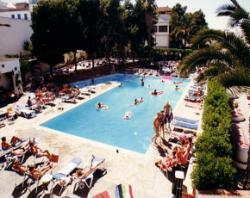 Also, its clients can use the swimming pool of Hotel Tropical. 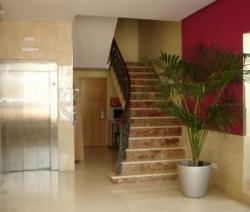 Due to its location, this accommodation is perfect to enjoy the leisure area of the city. If you want to discover the nightlife of the city, you will have pubs like West End, Eden, Es Paradis and Cafe del Mar at your fingertips. From Ibiza airport - By bus: Just as you come out of the Airport building, you’ll find a bus stop that will take you to San Antonio town. Get off at the last stop and you’ll see a football pitch to the right. We’re right behind the said pitch. That’s the cheapest way of getting to our hotel (around 3€/ per person) - By car: First drive towards Ibiza Town. When you get to the main roundabouts, following the road signals to San Antonio. At San Antonio’s entrance, you’ll see a main roundabout that includes a renowned “monument”: “el Huevo de Colón” that is, Columbus’ egg, a white huge egg with a black ship inside). Once you’re there, go towards the centre (Ramón y Cajal street) and then you’ll find a small roundabout with another monument, which is known as “Es Verro” (a man shouting with his hands around his mouth). We’re just opposite the said roundabout, at the corner with Camí General Street. - By taxi: As you come out from the Airport building, you’ll find a taxi stop. This is the most comfortable way of getting to our hotel, although it can prove a bit expensive, something like 28-40€ (depending on traffic and luggage). Our hotel is only 5-8 minutes walking from the main night life in San Antonio (West End, Eden, Es paradis, Cafe del Mar...) We are close to the beach, also you have the San Antonio bus station only 2 minutes walking from the hotel where you can take the disco bus to the main discos like Privilege, Amnesia,Pacha, Space ... and they are running during all the night. Also from the bus station you can take the bus to the Airport to save money(only 3€ per people).If you take a taxi from the airport will cost you around 30€. "Staff were excellent and very helpful." "The bathroom wasn't cleaned very well." Location- perfect location! very near to the bus station whis is just 1 street away! less hassle and easy to find. Near to almost everything- shops, west end, restaurants. room- Clean and have the basic amenities needed. Although the wifi on the front side (facing the main street) is not that good compared to the rooms facing the football field. the hotel dog was very entertaining :))"
"wifi connection on the 3rd floor facing the street is not that good at times"
friend of ours was staying at the same time."